Catalogue number HUEY X 2 is on the sleeve; HUEYX 2 is on the labels. A1: State Music Ltd/Chinnichap Publishing Ltd. 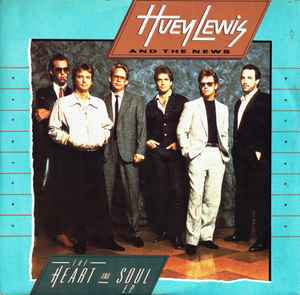 Produced by Huey Lewis And The News (sleeve). Produced by Huey Lewis & The News (labels). This release credits Bazza (2) on side A. The Heart And Soul E.P. has no Bazza credit.